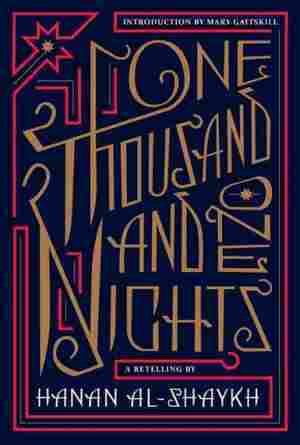 One Thousand And One Nights NPR coverage of One Thousand and One Nights: A Retelling by Hanan Shaykh and Mary Gaitskill. News, author interviews, critics' picks and more. One Thousand and One Nights re-imagines 19 tales from the classic story about young Queen Shahrazad's efforts to save herself from a brutal husband. It focuses on the female characters at the heart of each tale and incorporates humor and sensuality. June 9, 2013  Lebanese author Hanan al-Shaykh says it took her a while to fall in love with the legendary Arab heroine. She retells Scheherazade's famous stories in a new translation of One Thousand and One Nights. I don't recall exactly whether I was eight or ten years old when I first heard the words Alf layla wa layla, one thousand and one nights, but I do remember listening to a radio dramatization and being utterly smitten: the clamour, hustle and bustle of the bazaars and souks, the horses' hooves, the creaking of a dungeon door, how the radio seemed to vibrate and shake at the footsteps of a demon, and the famous crow of the lonely rooster at the start of each episode, which would be answered by all the roosters in our neighbourhood. I heard that a girl in my class had Alf layla wa layla, and I hurried with her to peer at a few volumes in a glass cabinet, next to a carved tusk of an elephant. The volumes were leather-bound, their title engraved in gold. I asked my friend if I might touch one, but she said that her father always locked the cabinet and kept the key in his pocket, because he said he feared that if anyone finished the stories they would drop dead. Of course I didn't know then, and neither did my friend, that the reason her father didn't want any of the women of the house to read Alf layla wa layla was because of its explicit sexuality. As the years passed, my obsession with Alf layla wa layla faded. I wanted desperately to escape the world it evoked. But Shahrazad found her way to me. I decided I must discover why, while most Arabs considered the framing story of Shahrazad to be a mere cliché, academics regarded it as a work of genius and a cornerstone of Arabic literature. I read page after page, marvelling at Shahrazad's perseverance in remaining the king's prisoner in order to reveal to him the truth of her mind. I came to see that her weapon was art at its best, her endless invention of all of those magnificent stories. The more I read, the more I came to admire the flat, simple style I had so criticised in the past. The simplicity of the language touched me, for it was the language of those who didn't reach for a dictionary but expressed their true, crude, raw and intense feelings, whether they praised, elegised or defamed. In these voices lay the foundation of magic realism, the flashback, and the use of the surreal to explain the ordinary — all the things I had mistakenly thought Alf layla wa layla lacked. Reading Alf layla wa layla this time was personal: I felt as if I had opened the door of a carriage which took me back into the heart of my Arab heritage, and to the classical Arab language, after a great absence. I was astonished at how our forebears had shaped our societies, showing us how to live our daily lives, through these tales which were filled with insights and moral and social rules and laws, without the influence of religion, but derived from first-hand experience and deepest natural feelings towards every living thing. The effect of Alf layla wa layla was so strong and real that Arab societies shaped themselves around it; the names of its characters were embedded in our language, becoming proverbs, adjectives and even modes of speech. 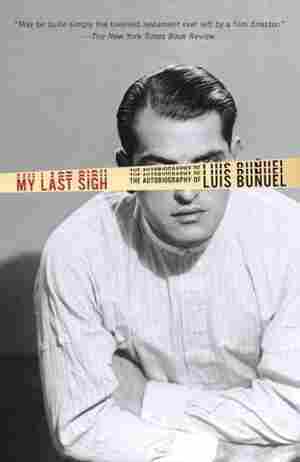 I was in awe of the complex society the stories evoked, which allowed relationships between humans and jinnis and beasts, real and imaginary, and I smiled at the codes of conduct and the carefully laid-out etiquette. But as a female Arab writer my real enchantment was the discovery that women in those forgotten ancient societies were far from passive and fearful; they showed their strong will and intelligence and wit, all the time recognising that their behaviour was the second nature of the weak and the oppressed. When I finished adapting these nineteen stories for the stage and for this book, I thanked Shahrazad for leading me into a myriad of worlds. And, when I stepped back into our century, it dawned on me that in a sense my friend's father was right when he had said that anyone who finished Alf layla wa layla would die: the reader might find herself detached and lifeless when forced to withdraw from the sublime vividness of the numerous worlds of the One Thousand and One Nights. I hope you revel in the journey as much as I did. Will awaken and buy you with his silver bread." He opened his net and there, to his horror, found a dead donkey. "A donkey?" he cried out. "My wretched luck. You send me a donkey when you know that my family and I are starved out of our brains?" He managed to free it from his net with one hand while pinching his nose with the other to block out the horrible smell. He cast his net carefully into the sea again, waited for it to sink, tugged on it and to his amazement felt that the net was even heavier than the first time. It was so heavy he had to climb back on to the shore, drive a stake into the ground, and tie the rope of the net to the stake. Then he hauled with all his might until he managed to pull the net up out of the sea. But instead of an abundance of fish jumping and playing in the net he found a broken, rusty wooden chest filled with sand. He shouted in a loud voice, "A chest? Is this how you compensate my work? My labour? Or are you telling me that the key to my good fortune lies inside this coffin?" He kicked the chest as hard as he could, but then managed to recover his patience, and washed out his net once again. When dawn was about to break the fisherman prayed, raising his hands and lifting his eyes to heaven in supplication. "Oh God, I beg of you, have pity on me, I have no other trade and I have sworn that I shall only cast my net three times. This is my last attempt, because I believe that my fortune has been decided and this will be my fate." He cast his net, put his hand on his heart and waited, murmuring to himself, "Let us hope that the third time will be lucky." At last he hauled the net ashore and to his amazement found a large brass jar inside, long-necked and sealed with a lid. "I'll sell it in the copper market and buy some wheat," he said to himself. He tried to lift it but it was too heavy and so he shook it, trying to tell what was inside. He examined the lead seal of the lid, on which words were engraved, and then took his knife and slowly eased it open. He tilted the jar to one side but nothing came out, which puzzled him, since the jar was so heavy. He plunged his hand into the jar, but it was empty. Suddenly a column of smoke began to pour out, covering the ground and the sea and moving higher and higher up into the sky until it reached the clouds. The fisherman peered up into the sky as the smoke turned to a black fog and formed the shape of a huge jinni, his head reaching to the sky and his feet planted on the sand. The fisherman wanted to run away, but remained frozen to the spot, as the jinni's head became like a tomb, his eyes like two lanterns, his nostrils like two trumpets, his ears as large as an elephant's, his mouth a frightening cave with teeth like gravestones and two fangs like a pair of pincers. The fisherman shook with fear, his teeth rattled in his mouth, his knees knocked and his feet remained nailed to the ground. But the jinni cried out, "Oh Suleiman, Suleiman, the mighty prophet of God, forgive me and pardon me. I promise that I have learned my lesson. I'll never disobey you again and I am now your trusted servant. Hearing the jinni's plea and seeing how he trembled, the fisherman gathered his courage and asked him, "What are you saying? The prophet Suleiman died one thousand, eight hundred years ago. Eons have passed. Who are you? And why were you in that jar?" "Be glad, be very glad," the jinni replied. "Oh! My happy day has come at last," the fisherman said to himself, overjoyed. "Be glad that I am going to kill you," the jinni added. "Kill me? What have I done other than to haul you up from the bottom of the sea and release you from that jar?" Hurry up and make a wish," the jinni told him. Hearing this, the fisherman's face lit up and he said, "This is what I love to hear! Just give me a second to think what I should ask of you." But the jinni said, "Tell me how you wish to die. I promise you that I will fulfil your desire." Why me?" the fisherman shrieked. "What have I done to you, you ungrateful creature? Let me tell you that until this day I never believed the proverb 'Beware those you help'." But the jinni said to him, "Let me tell you my story. I'm sure that then you'll understand why I must put you to death." The fisherman said, "Please be assured, jinni, that I shall never try to understand why you are going to kill me!" Enraged, the jinni shouted, "Then you can be assured, fisherman, that I will not be so generous as to ask you how you would like to die." Hurry up then, and tell me your story," the fisherman said. "Be quick, for my soul has dropped to my feet in fright." The jinni began his story. "I am one of the rebellious jinnis who disobeyed God. I was dragged before the prophet Suleiman who asked me to submit and surrender to him. When I declined he imprisoned me in that jar and sealed it with the name of the Almighty and Magnificent. Then he gave the jar to one of the obedient jinnis, who carried me and threw me in the sea. Before I had completed two hundred years inside that wretched jar I swore an oath that if someone were to release me I would make him rich. But nothing happened and I remained trapped in the jar. After another two hundred years had passed I vowed to myself in my loudest voice, in the hope that the waves would carry my pleas, that whosoever should release me from my prison would receive all the treasures of the Earth. But still no one came to my rescue and another hundred years passed and another and another and I remained, cooped up in the same position in that jar. I found myself screaming and raving and shouting and declaring to the whole world and to myself that whosoever set me free I would subject to the worst death imaginable and then you arrived, and released me from the jar. And so now I am obliged to fulfil my promise." The fisherman nearly fainted, but he pleaded with the jinni, "Forgive me jinni, for setting you free. I was only trying to fish, so that my wife and children will not die of hunger. Jinni, if you forgive me, then God will forgive you; if you strike me, then God will strike you down." But the jinni interrupted the fisherman, saying, "I must kill you, it is the best reward that I can grant you for setting me free. Now hurry up and choose the manner of your death." The fisherman thought to himself, "I am a human being; God has given me reason and made me superior to this jinni. I must use my cunning to defeat his demonic wiles and barbarism." He turned to the jinni, saying, "Jinni, do with me what you will, kill me in any way you wish." But just as the jinni took one giant step towards him, the fisherman said quickly, "Jinni, before I die, I should like to ask you something." Go ahead and ask then." "Tell me, in the name of the Almighty, were you really inside that jar? Are you sure you weren't playing a trick on me?" Of course I was inside it!" "But how? This jar is not big enough for even one of your giant feet." "So you don't believe me?" said the jinni. "No, to be perfectly honest, I don't," the fisherman replied. "I'll never believe it unless I see it with my own eyes." But a rooster crowed, dawn broke and Shahrazad fell silent, sighing to herself. "Oh King!" her sister, Dunyazad, said from under the bed. "What a beautiful and amazing story!" "If the King spares me and lets me live, then I shall tell you tomorrow night what becomes of the fisherman and the jinni," said Shahrazad. "I shall let her live and hear the rest of the story tomorrow night and then I shall kill her," Shahrayar said to himself. Shahrazad held her breath with great anguish and fear, awaiting the King's verdict, as if the sword might fall upon her neck at any moment, while Dunyazad peeked out from beneath the bed, panting and panicking. This moment seemed to stretch out into a century, but finally Shahrayar left his bedroom, without calling for his Vizier, the father of Shahrazad and Dunyazad, to order him to have his daughter put to death. Instead he went and sat on his throne, to order and forbid, and the two sisters clung to each other, embracing and weeping, hardly able to believe that their plan had worked, even for one night. Dunyazad touched her sister's face, amazed that she was still alive. When the Vizier realised that his daughter would not be killed that day he shouted for joy and kissed the ground. When night fell over the palace once more, Shahrayar entered his bedchamber, and climbed into his bed. Shahrazad climbed in next to him and the King caressed her and made love to her, while Dunyazad waited patiently under the bed. When the commotion above her subsided, she cleared her throat and spoke into the darkness. "Sister, if you are not asleep, can you tell us what became of the fisherman and the jinni?" "If the King wishes to hear it," was Shahrazad's reply. "Go ahead," said the King. And Shahrazad answered, "With the greatest pleasure." I heard, oh happy King, that the fisherman answered, "I will never believe that you were inside that jar until I see it with my own two eyes." So the jinni shook himself until he once again became smoke which rose into the air and stretched out over the sea and the ground. Then it gathered itself and entered the jar little by little and when the last drifts of smoke disappeared within, the jinni called out, "Do you believe me now, you stubborn fisherman?" Quick as a flash the fisherman clamped the lead seal over the mouth of the jar and shouted, "Now you wretched jinni, how do you wish to die?" Realising that the fisherman had tricked him, the jinni struggled to get out. When he found that he was trapped, he called, "But fisherman, I was joking when I told you that I wanted to kill you!" "You're lying," said the fisherman, and he began to roll the jar towards the water's edge. Stop fisherman, stop! What are you going to do with me?" "I am going to throw you deep into the sea, and build a hut right here on this spot, lest another fisherman comes along and hauls you out. I want you to remain imprisoned in the darkness of the jar for ever, until Doomsday." The jinni was silent for a moment, and then he spoke in the softest of voices, "I beg you fisherman not to do that." Didn't I myself plead with you again and again, telling you to spare me so that God would spare you or destroy me and be destroyed yourself? But you refused." "Release me," the jinni begged him, "and I promise that I shall leave you in peace." "Listen jinni, I love my life and it was enough to have nearly lost it the first time I saved you." "Open the jar and I promise to reward you beyond your wildest dreams." "I don't believe your promises. They're all lies, because your situation and mine is like that of King Yunan and the sage Duban," said the fisherman. And so the fisherman began. Excerpted from One Thousand And One Nights: A Retelling by Hanan al-Shaykh. Copyright 2013 by Hanan al-Shaykh. Excerpted by permission of Pantheon.